This listing is for TWO Bangles. 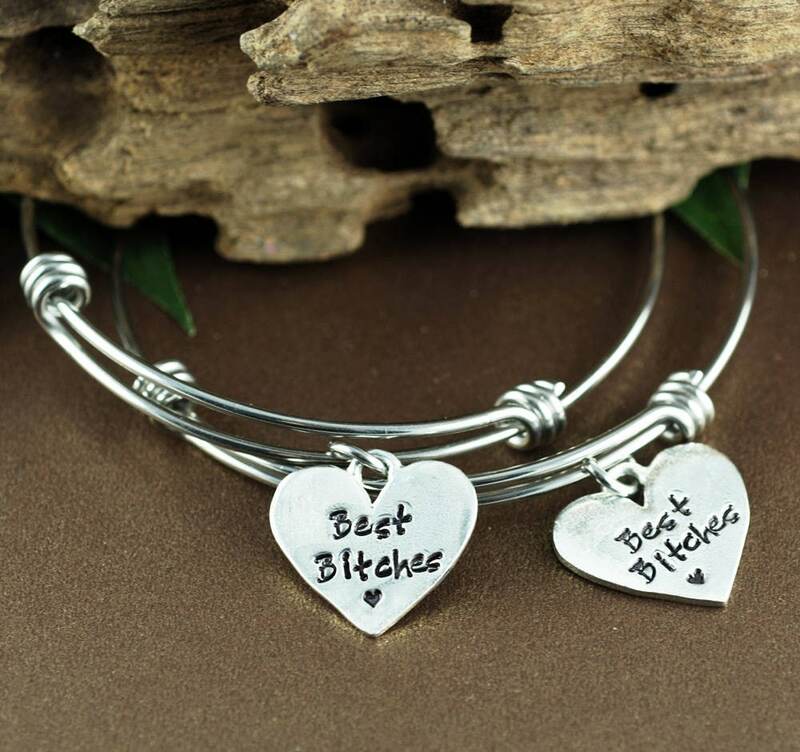 These expandable bracelets are designed to be worn by TWO best friends. One size fits all. 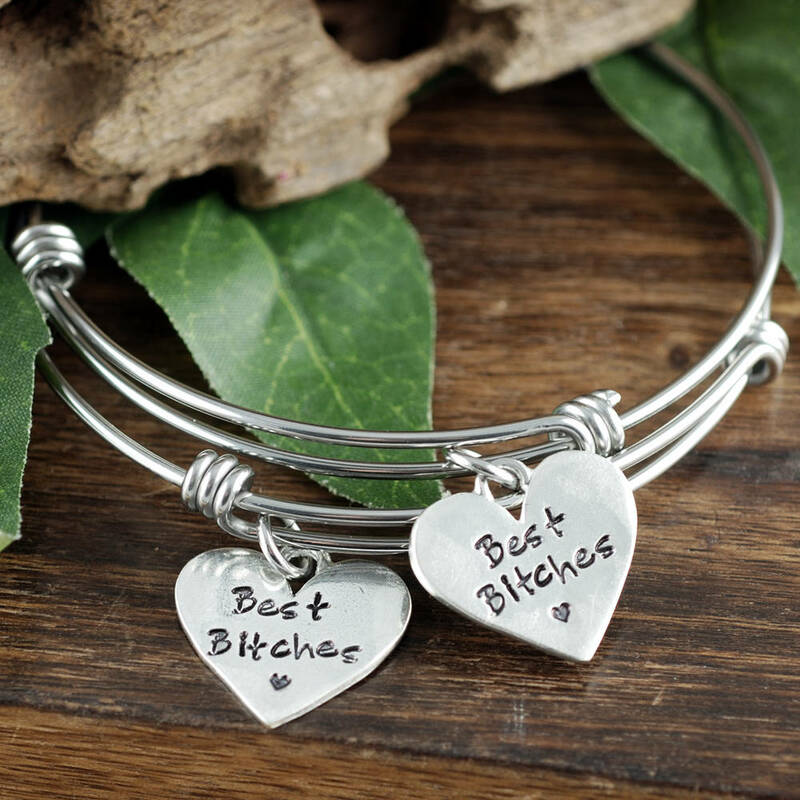 Perfect for you and your BESTIE! We can also stamp a different word on each to give as a gift to Mother, Daughter, Sisters, Best Friends etc. Please put details in the note to seller box regarding exact word/name on each bangle.